Austin, Texas — March 12 — Yes, I get business knowledge from genius sources. And just like Thomas Jefferson, I cut and paste those nuggets of knowledge and pass them to you. Well ‘Drama’, here is how I apply what you taught into charming venture capitalists. 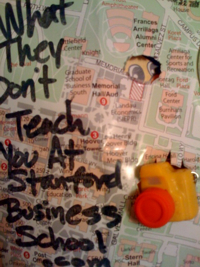 File this under, “What They Don’t Teach You At Stanford Business School”. Fawning over a VC is weird and it is made less weird if you bring a bigger fan. I use this little gambit all the time. When Mark Cuban spoke at TC50, I said “hi” but brought him not one but two fans. Man charming is easier if you add value to his entourage (pun intended). -2- Google Him and Admit It. Don’t google and deny cuz it makes you creepy. Google them and say, “Dude, I just googled you. You’re a stud.” Man charm is all about paying a sincere compliment(s). You might have a buddy that drives what he drives or is cooler, but out alpha maling won’t make a buddy. Making a buddy makes a buddy. -4- Listen Like a Shih Tzu. 75% of the time, this works everytime. -5- Tease Your Elevator Pitch. 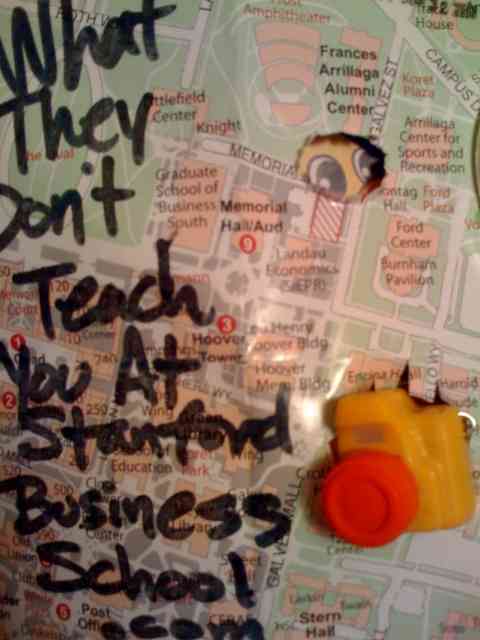 Simplify, incorporate humor and prematurely stop selling yourself. My rule of thumb and goal… make what you are raising money for easy enough for a distracted, multi-tasking, A.D.D. VC to understand while drunk at Facebook’s open bar party at Pangaea. Go forth and Man Charm. 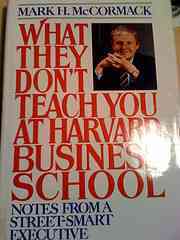 He is a frequent contributor to Business Week’s blog on “What They Don’t Teach You at Business School“. For fun, Larry blogs, attends tech conferences and hoops it up at Arrillaga Center for Sports and Recreation. Text or call him during office hours 11:11am or 11:11pm PST +/-11 minutes at 650-283-8008.